Luggage baskets are available in tough wire mesh offering strength and economy or in stylish aluminium units that are functional and enhance the appearance of your vehicle. Made from structural grade aluminium and glass-reinforced nylon, they provide a strong robust solution for all your luggage carrying needs. Proven in the harshest Australian conditions. 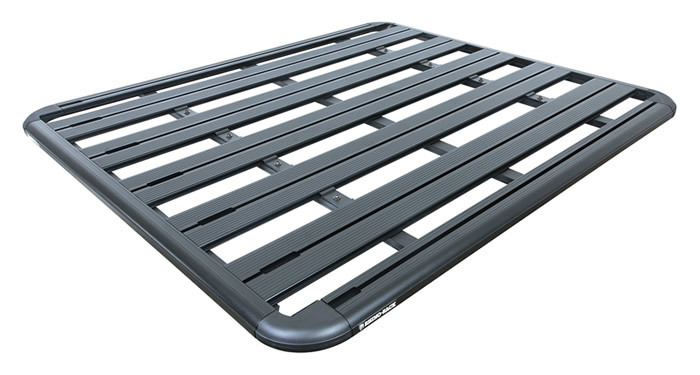 Will fit to Rhino Sportz or Heavy Duty cross bars. Fitted with tie off points and can be fitted with a range of accessories including jerry can, spare wheel, shovel and hi-lift jack holders. 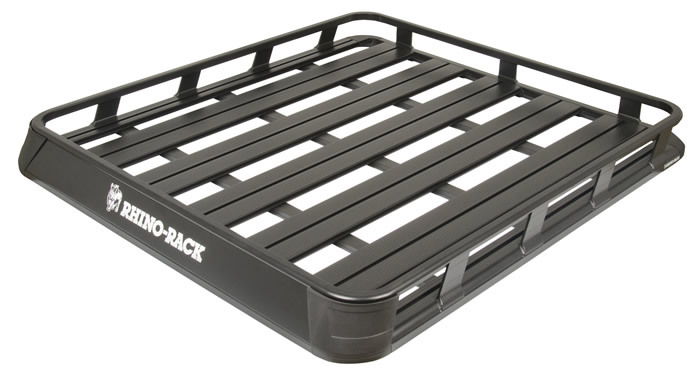 Designed to transport luggage, equipment, camping gear and luggage bags the Platform Basket provides an ideal solution for transporting excess gear and freeing up much needed cabin space. 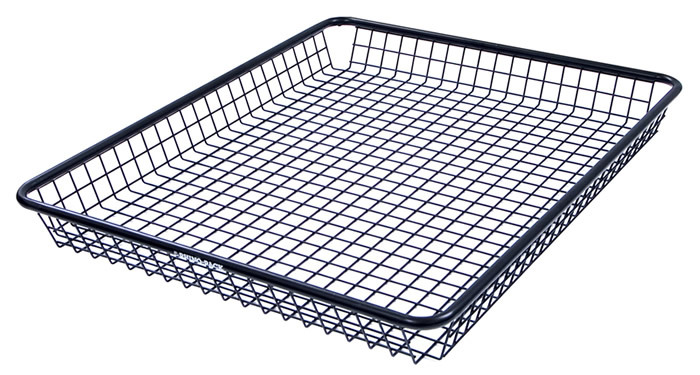 Constructed from steel mesh, the basket is zinc plated with a black powder coated finish so it wont rust. The basket is able to fit a variety of different cross bars when used with the correct fitting kit. So whether you're getting a way for the weekend or planning a travel holiday, this Platform Basket is the perfect solution to carry all your luggage and leisure accessories. 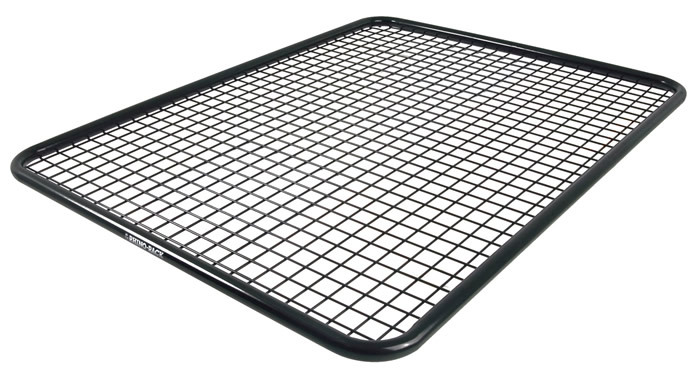 A Rhino-Rack Steel Mesh Basket is a great solution for saving valuable vehicle space while safely and securely transporting your excess gear. 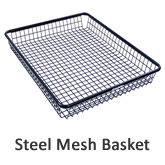 Available in a variety of different shapes and sizes, the Rhino range of Steel Mesh Baskets offers a configuration for all kinds of applications. They are a durable solution to help save space and allow you to transport that extra gear you would normally have to go without. 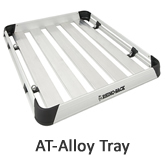 Built from quality steel, all trays are zinc plated and powder coated so they will resist rust and fading. 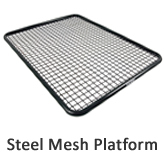 Rhino Steel Mesh Baskets will fit a wide variety of roof racks using the correct fitting kit. 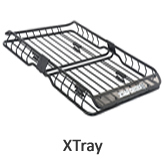 The Rhino-Rack Xtray adds some style to the steel basket. Integrated brackets clamp securely around your roof racks without intruding into the basket. A spoiler on the front minimises noise and along with the smart powder coat finish gives the basket a smart finish. 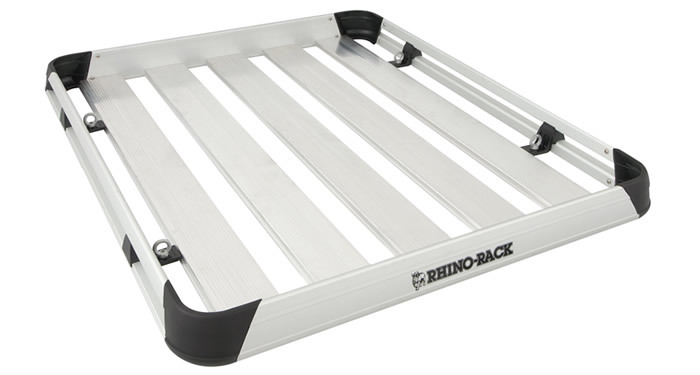 The Rhino-Rack Pioneer Platform is a sleek and stylish roof rack accessory for a range of 4WDs and utilities. 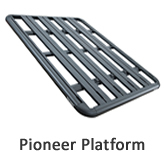 Made with strong, durable and lightweight reinforced nylon and aluminium, these corrosion resistant Pioneer Platforms have been tested in the most rugged conditions and have passed with flying colours. 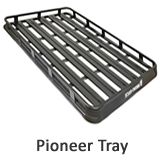 The Rhino-Rack Pioneer Tray is perfect for transporting extra gear on your 4WD or utility. Sporting a stylish aerodynamic design and sleek black finish, it’s not only a functional addition to your vehicle, but a fashionable one too. 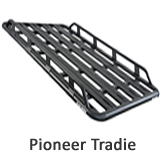 The Pioneer Tradie is the ideal solution for trades people who need to carry a wide variety of gear on their roof. With its open front and back end you can easily load ladders, pipes, long objects that required extension beyond the tray and your other work tools. 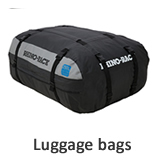 The Rhino-Rack range of luggage bags are the perfect accessory to complement either a luggage tray or steel mesh basket. Designed for harsh Australian conditions , these bags offer market leading resistance to protecting oyur gear from dust and rain.